Serena Williams is the American tennis player, four-time Olympic champion, many-time Non-Calendar Year Grand Slam winner, and Golden Slam winner. She is the younger sister of the world’s champion Venus Williams. Serena was born in September 1981 in Michigan. The girl spent the first years of her life in Saginaw; later, the family was moving to California and Florida several times. Serena and Venus were the youngest children among the five daughters. The elder sisters Yetunde, Lyndrea, and Isha were the girls’ half-sisters. The legend of the world’s tennis was preparing to conquer the tennis Olympus from the early childhood. Their father Richard Williams was working on his younger daughters’ development: when Serena and Venus turned 3 and 4, he took them to the court. First of all, the girls learned how to hit a ball. Richard did not show them any favoritism: despite their age, Venus and Serena had adult rackets. When the young athletes had other teachers, the father did not stop controlling their progress. Neither did he stop doing that after he divorced the girls’ mother in 1999. 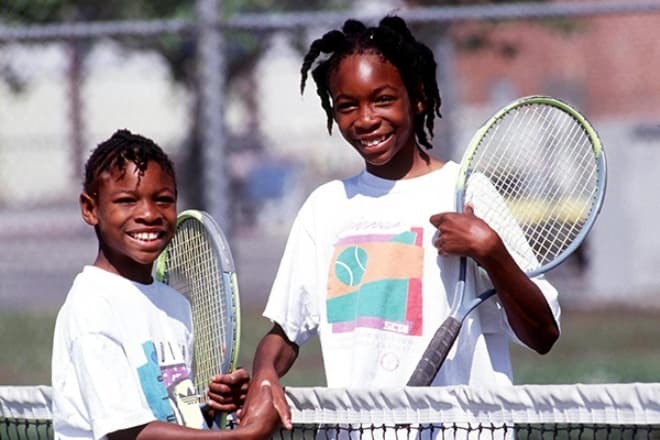 After the family moved to Compton, California, Serena and her sister entered the tennis academy of Macci. From the early childhood, Serena demonstrated her persistence and combative nature. At the age of eight, the girl and her sister signed up for a tennis tournament without their father’s knowledge. Serena took the second place while her elder sister won the victory. Venus switched places with her so that Serena would not be upset: she said she liked silver more than gold. Serena still remembers her sister’s noble act. Teachers had been emphasizing the young tennis player’s talent. She had already developed her own style: rapid, assertive, and unpredictable. Serena was literary smashing her opponents on the court. The girl took an active part in various junior competitions, and the list of her great achievements was full of triumphs. The athlete was steadily going to the adult tennis. At 14, Serena joined professional players and left the academy; only her father trained her. The following events were miraculous. In 1997, when Serena Williams was only number 304 in the world’s rating, she managed to defeat the strongest tennis player of that period, Monica Seles. Soon, the new remarkable victory followed: Serena crashed Mary Pierce. As a result, Williams was included in the list of the top 100 tennis players. From that time, the athlete was the regular participant of WTA tournaments. The next year, Serena debuted in the Grand Slam. After several quick victories, Williams became number 20 in the world’s rating. Several months later, the star gained the victory in the Grand Slam tournament in Wimbledon when mixed doubles were playing. 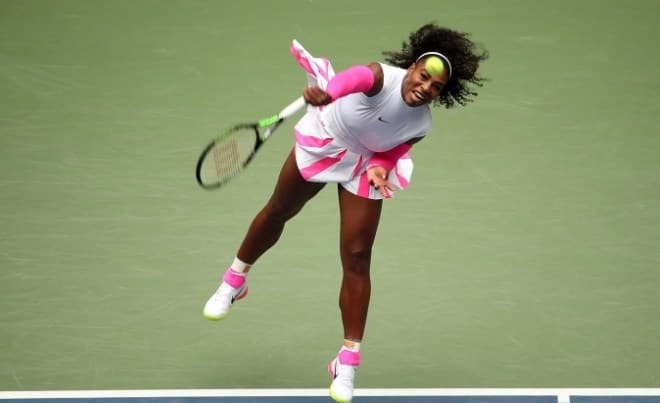 Serena collaborated with the Belorussian sportsman Max Mirnyi; with him, she also won the US Open. In 1999, Serena Williams managed to win the glorious victory in singles; the strongest opponents Lindsay Davenport and Martina Hingis. 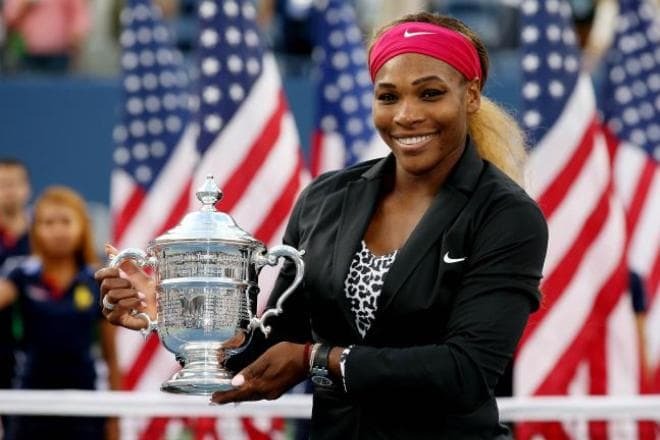 This brilliant achievement brought Serena the US Open Cup. From that moment, Serena’s leadership in the top tournaments was regular. 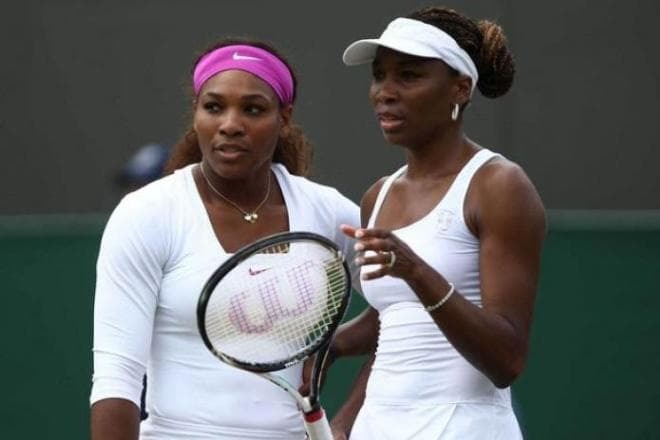 Williams won Grand Slam tournaments 32 times and won the Olympic gold medal three times with her sister. She also won in the Olympic singles. Serena Williams is the only athlete who managed to regain her position after a long career break. In 2003, the woman suffered from the awful shock: her half-sister died. For eight months, Serena could not come back to the court; when she did, she had an unfortunate injury and lost a whole season. Nevertheless, Serena was not called the legend for nothing. She found the strength to recover and took the first place in WTA. 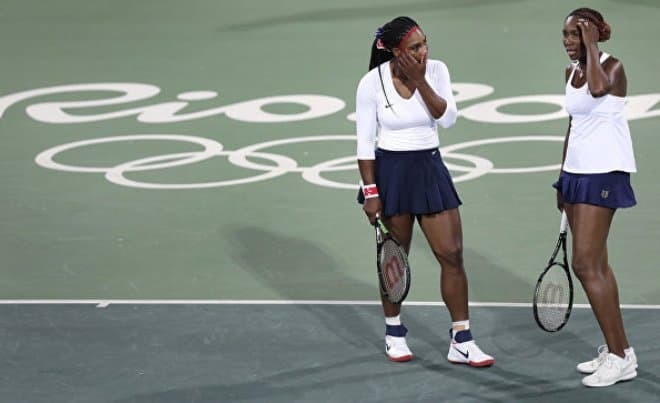 As it was expected, the Williams sisters participated in the Olympic Games in Rio de Janeiro. However, few people expected them to lose to Lucie Šafářová and Barbora Strýcová in the first round. In singles, Serena’s results were disappointing as well: she lost to Elina Svitolina. In 2016, the doping scandal took place: the group of hackers known as Fancy Bears revealed some details of WADA activity. 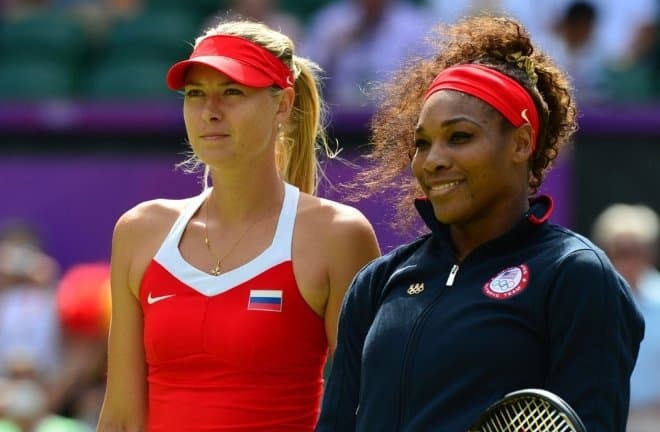 The documents provided by them implied that the Williams sisters had been taking prohibited substances for a long time, and WADA was regularly giving them doping licenses. 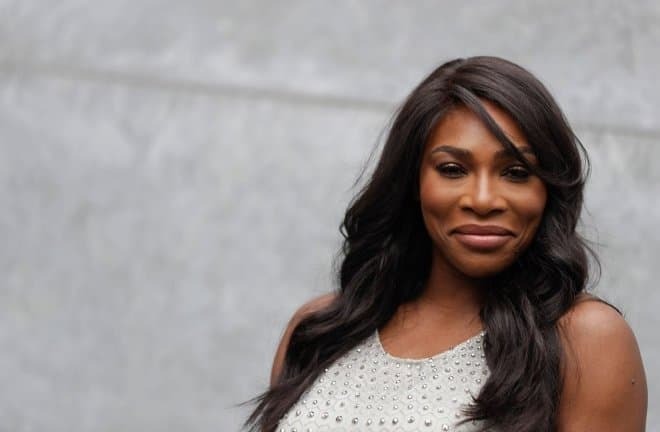 According to the hackers’ data, Serena Williams was taking oxycodone, hydromorphone, prednisolone, and so on; Serena was taking them for medical reasons. Williams did not deny this fact and explained she had to do that because of some chronic diseases. At the same time, Maria Sharapova was disqualified for two years for having taken meldonium. Serena Williams has been successful not only in sports but also in design: she collaborated with the sports brand Aneres. The tennis star often signs contracts with famous companies: Reebok, Puma, and Nike. The athlete is also known as an actress. Her cinematography career includes more than ten projects in feature movies and documentaries. The characters of Avatar: The Last Airbender and The Legend of Korra have her voice. Serena Williams’s personal life has also been rich. The woman had several affairs with famous American show business figures and athletes. For example, the relationship with the famous soccer player Bryant McKinnie. After they split up, Serena was dating the actor Jackie Long. According to the media, Williams was close to the businessman Patrick Mouratoglou who owned a tennis academy. It is interesting that Serena used to say she could not imagine dating a person whose skin color would be lighter than hers. However, Patrick was Greek. 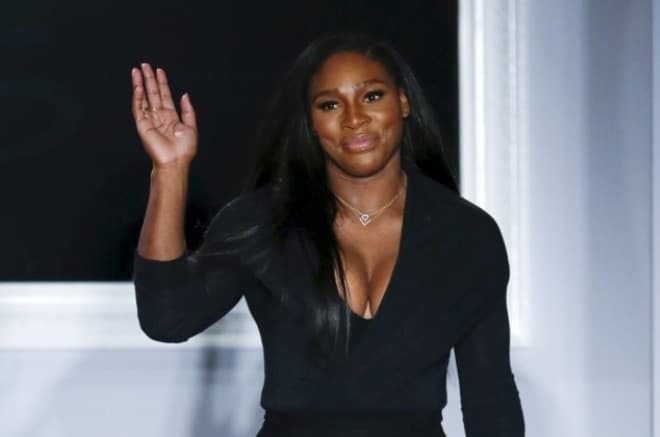 In 2017, people were following the news about Serena William’s private life again: the athlete did not keep her pregnancy secret and posted some photos on her Instagram. 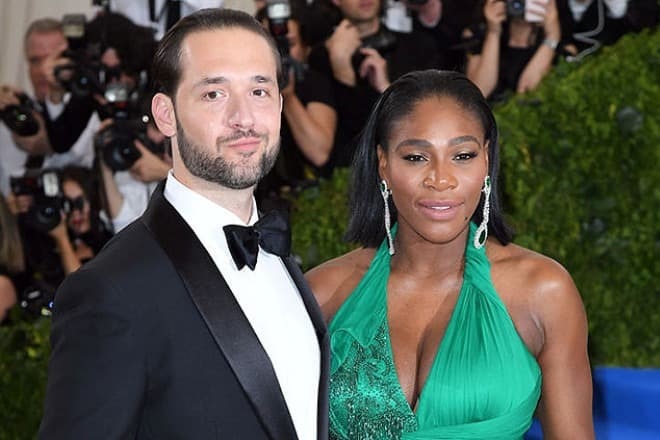 The creator of Reddit Alexis Ohanian became Serena’s partner; he is Armenian. The couple’s daughter Alexis Olympia was born on September 1, 2017. 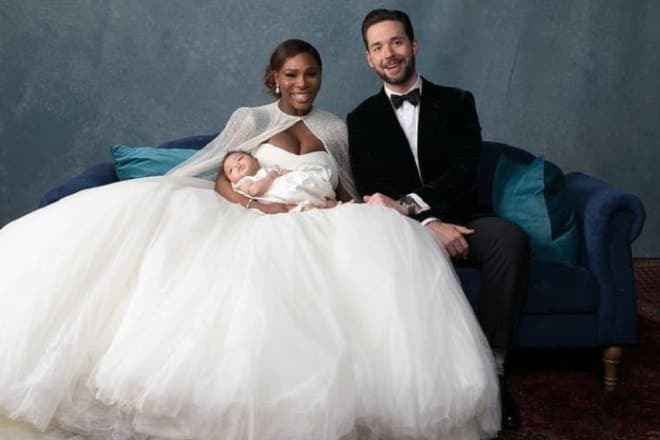 Two months after the childbirth, Serena married Ohanian. The wedding ceremony took place in New Orleans; Ciara, Beyoncé, Kim Kardashian, and Eva Longoria were among the guests. Vogue had the rights for the exclusive photo session. Serena Williams planned to come back to the court at the end of 2017. 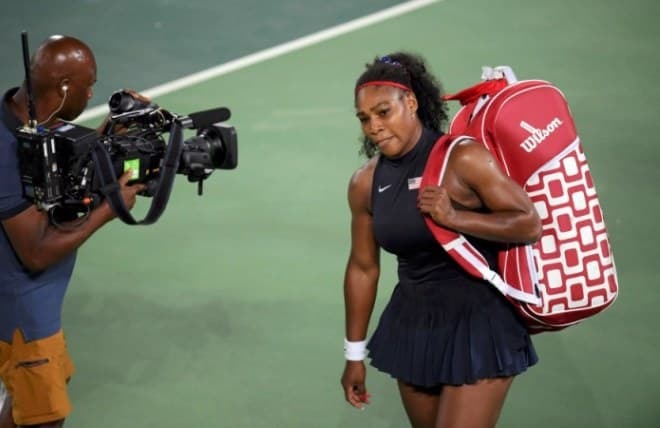 Still, she lost to Jeļena Ostapenko in Abu Dhabi; this failure proved Serena was not in the right shape. She decided not to take part in The Australian Open. In March 2018, she appeared in WTA – BNP Paribas Open in Indian Wells. Before the competition, Serena Williams’s husband surprised his wife. On the road to the stadium, there were banners with Serena and her newborn daughter’s photos. Each banner was signed: “'greatest mother of all time.” Serena was touched with her husband’s action and won in two games against Zarina Diyas (Kazakhstan) and Kiki Bertens (the Netherlands). However, Venus Williams was her opponent in the third round; Serena lost to her. Today, Serena Williams continues to participate in tennis competitions. In Miami, she was not lucky again: she could not pass the first round and lost to the Japanese tennis player Naomi Osaka.